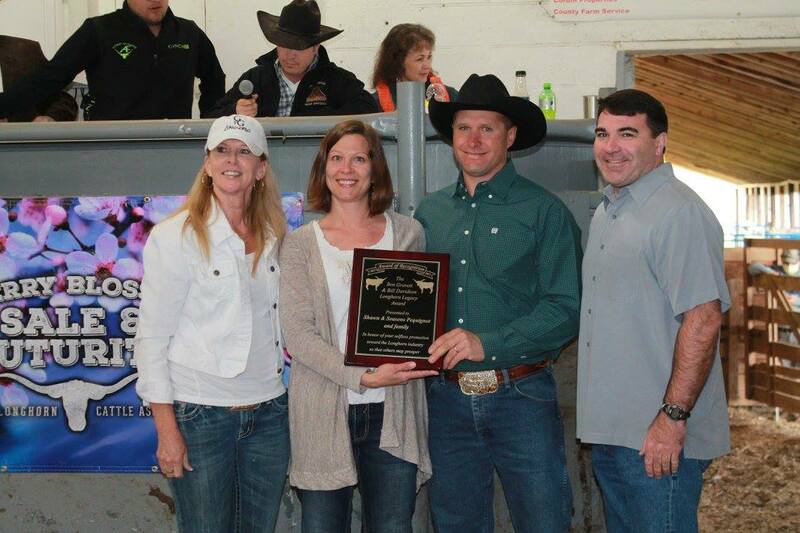 Ann Gravett and Wolfe Davidson presenting Seasons and Shawn Pequignot of Crazy Cattle Company with the Ben Gravett and Bill Davidson Longhorn Legacy Award. 70 of 76 lots were sold (6 scratches, 0 PO’s) for a total of $174,350. The high selling internet lot went for $5,700 to Craft Ranch - thank you Craft’s! These were the top 5 Service Sires by value of their averages with at least 2 bred females selling. Averages are shown below starting with the highest.